Towards the end of last year, Google announced that it would soon be rolling out an update transitioning to mobile-first indexing. 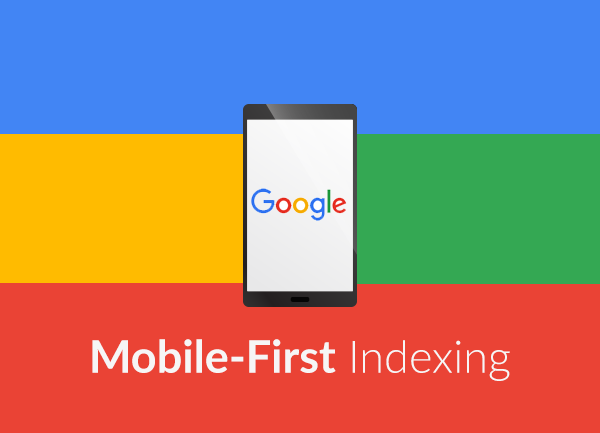 But what exactly does Mobile-First Indexing mean and what effect will it have? With recent research showing that over 50% of all website traffic is now served to mobile devices, it is no surprise to hear that Google has decided to react. Currently Google’s ranking systems still typically look at the desktop version of a website to evaluate its relevance to the user, so this excludes any separate mobile versions on the website. However, with the transition to Mobile-First, Google will instead rank your site on it’s mobile experience. I have a separate mobile website. How will it effect me? One of the main reasons for having a responsive website or a separate mobile website, is to create a better experience for those users viewing your site on a mobile or tablet device. Having one of these means the visitor will generally see a slimmed down version of your site in a layout that is much more accessible for their screen size, and meaning there is no need for ‘pinching’ to zoom in and out to read your website content. It is often the case that certain content may also be cut down or not shown at all on these mobile sites, to de-clutter the experience and allow for less scrolling. The issue with this and with Google soon to be ranking from your mobile site, is that hiding that content will sure to have a negative effect on how your website ranks. I have a responsive website… Should I be concerned? Generally speaking, if your website is responsive (meaning the same website is shown for all devices, but tailored to fit the the device size) you shouldn’t have anything to worry about. As its the same site, the content is likely to be the same no matter what device you are viewing it on and therefor Google will see no difference. I don’t have a Responsive or Mobile website! With a huge percentage of online browsing now being on handheld devices, this really is a must! Google also now favours mobile-ready websites over those that aren’t, so not only are your website visitors struggling to navigate around your website on their mobile phone, but Google is also marking you down when it comes to ranking your website in search results. So when will Mobile-First Index kick in? Well initially Google had announced that they would start rolling this out at the end of this year, but their latest update mentioned that early 2018 is probably more realistic. If you’re still unsure if your website is going to be affected by the transition, or if you just want to discuss your next website project, get in touch. Website design & digital marketing experts based in Frome, Somerset.